Sometimes, when you are looking to make money from sports betting, it pays to look beyond the obvious sports and markets, and rugby can certainly be an example of one of those. So many sports bettors ignore rugby that there are great opportunities to make money from flutters on this sport, although of course, as with any sport, you do need to know your stuff. With rugby's TV viewing and spectator figures on the increase in recent years, now is the time to start taking those opportunities before everyone else cottons on! This might seem to be obvious advice - after all, it's what you'd do with basically any sport - but it's certainly a good starting point when it comes to rugby betting. Simply looking over a team's win-draw-loss figures can give you an initial indication of how likely they are to emerge victorious in the next match, although of course, context is everything. Is the team on a winning run or have they recorded a string of losses as of late? This is especially important to note in conjunction with league position, as even a highly ranked team can suffer bad form. For a rough form guide, we would suggest that you look to the given team's last six to eight matches. As we said above, context is everything - there's a big difference between winning one match and winning another. Looking at the given team's wins, for example, even their margins of victory don't necessarily tell the full story - a dominant win over an extreme underdog probably doesn't tell you much, while a narrow win over the league leaders might be a very impressive result indeed. Other factors to bear in mind include weather conditions, the starting line-ups and whether the team was playing at home or away. You're probably starting to appreciate how it really pays to be an enthusiast of the sport when attempting to excel at rugby betting! The head-to-head figures in relation to the two teams in the match on which you are betting can be very instructive, not least in international rugby, where there can be big power imbalances between teams year after year, leading to often predictable results. However, this approach can also be useful when betting on domestic rugby - as long as you place a limit on how far back you look through the figures. Team A beating Team B by a big margin in 1990 doesn't mean much when trying to guess the outcome of a match between the teams in 2017, but if the two teams have met several times over the past year, you could glean some incredible insights. That will be especially the case if there are a lot of factors from those previous matches - such as weather conditions and line-ups - that are very similar for the latest match. Rugby is one of those sports where an injury to an inspirational skipper or key scrum-half can have an especially devastating effect on a team's results, even when there are quality players in other positions. It is therefore vital to become well-versed on who the most instrumental players are for each team, and who's injured, suspended or (in the case of club matches) away on international duty. Don't bet 'blindly' as far as this aspect is concerned - keep up to date with this information ahead of each match, even holding off your bet until shortly before match-time if you feel this would be advantageous. If there's any sport that takes an especially heavy toll on its players, it is surely rugby, so it's a good idea to look at the team's recent schedule, including how packed it has been - could the team's usually on-form players suffer from fatigue in this match? Injuries may also be more likely after a busy run of fixtures. However, match date and schedule considerations can become much more complicated than this. They can be especially important for international matches where teams from different hemispheres meet, including the likes of the Autumn Internationals in rugby union and the World Club Challenge in rugby league. Teams playing on the opposite side of the world, for example, may need a few matches to acclimatise to the conditions. However, even in the domestic game, there are such factors to consider as the frequent unreliability of early-season form and the tendency of teams with 'nothing left to play for' towards the end of the season to string together some shock wins. Few sports are as notoriously affected by the weather as rugby, and it's true that especially wet and muddy conditions frequently result in dour, low-scoring matches, compared to the more fast-flowing and high-scoring matches that often occur in bright and sunny conditions. This can make considerations of the weather especially crucial when placing winning-margin bets, although it's important not to take too simplistic an approach, as certain teams often excel in certain weather conditions. This is a concept that you should be more than familiar with if you are an experienced football bettor - teams playing at home often do better than those playing away, thanks to such factors as the strong local support, the familiarity of their surroundings and not needing to travel. However, home sides do often lose and away sides do often win, so you will need to think about this element alongside such other factors as the recent win-draw-loss statistics for the given teams. The above isn't necessarily an all-inclusive list of all of the factors that can affect the result of a rugby match, but it's certainly a sufficiently complete list to be 'getting on with'! 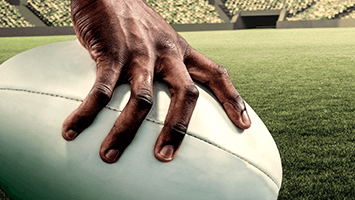 Remember that here at Top 10 Sports Betting Sites, we provide extensive reviews and ratings of the leading online sportsbooks to help you choose the right one when you do come to participate in rugby betting. Check our list of the best rugby betting sites.